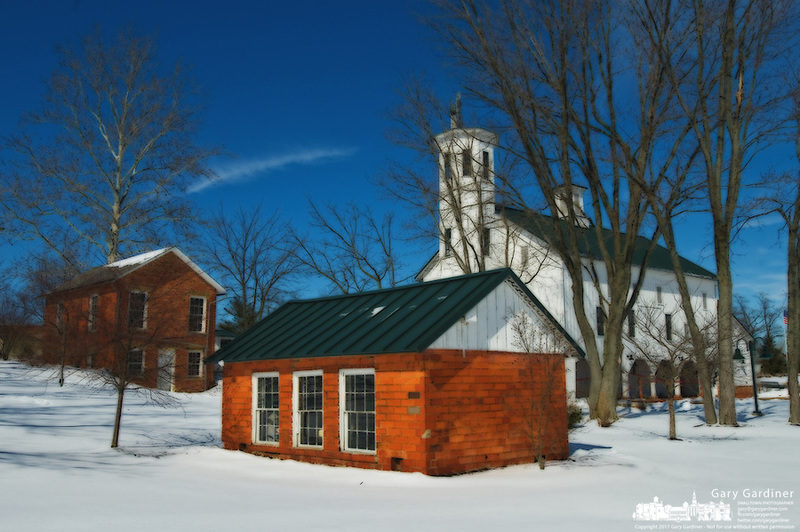 Everal Barn Homestead in the snow in Westerville, Ohio. illustration from photo. Photo Copyright Gary Gardiner. Not be used without written permission detailing exact usage.